On arrival, you will be picked up by our driver guide. He will drive you to your overnight hotel for dinner and overnight rest. After briefing, depart Nairobi at 07: 30a.m after breakfast for Limuru town. Arrive at Kiambethu farm in the early morning. Spend some time with Fiona, tasting different tea favors as she takes you through the tea processing process. Enjoy the healthy nature walk through the tea fields and the nearby forest. Afterwards, depart to the Cheese Lover’s Heaven at Browns Cheese farm. Enjoy a heathy three course lunch from the farm to the plate. Enjoy a tour of the farm and a taste of their 16-different variety of cheese. Brown’s natural cheeses are made using traditional methods and ingredients; no colorings, coatings, or additives are used. All their cheeses are suitable for vegetarians. After the tea and cheese day tour, travel back to Nairobi for overnight. (B, L) Dinner on own arrangement. Overnight at BOMA Hotel or Similar. After breakfast, depart for Nyeri town with a stopover at Karatina Market. Notice all the agro-business going on along the way. Agriculture being the back born of Central Kenya Economy thanks to their position on the great Mt. Kenya. You will have a very informative learning session at Wambugu farm who hosted the 17th annual farmers field’s day in his own private farm. Among other common crops and vegetables in display is new varieties of crops like English spinach and Brasel sprouts. This would be a good opportunity to interact with local Kenyan farmers and learn about the new Variety of crops. Begin your day in the early morning. Visit a successful poultry farmer who resigned from his employment as a doctor to practice farmers. Brade gate farms offer variety of poultry lessons. You will visit their poultry breeding farm, Hatchery, Poultry Supermarket, Chicken feed processing plant and Have lunch at their Hotel. This will take a full day after which you will head to Nanyuki for overnight. Floriculture is one of Kenya’s major foreign earner. On this day, a story of a couple who came and turned a dairy farm into a traditional garden scented flower farm is told. Tambuzi flowers have gone down history for supplying the Royal family with their flower. You will learn about the returns they get and you will be taken through the process the flowers go before being exported. Proceed to Trout tree, a trout fish farming tour and an amazing lunch. Later proceed to Nanyuki for overnight rest and dinner. 0730hrs, after breakfast, you will drive to Lake Naivasha via Thomson Falls, to arrive in time for lunch. In the afternoon, you will have time at leisure as you enjoy the cool climate and the birds that frequent visit the lakeside. Later at 1600hrs, you will be taken for a boat ride till later in the evening. 0730hrs after breakfast they will depart for Maasai Mara and drive through the floor the Great Rift Valley to arrive at a camp for lunch, followed by an afternoon game drive later from 1600hrs until sunset. Maasai Mara Game Reserve is the land of African legend: Lion are abundant throughout the park, as are the elephants, giraffes, and a variety of gazelle species and zebra. Cheetah and leopard are also regularly seen and, less commonly, rhino. The annual wildebeest migration, one of nature’s few remaining wildlife spectacles, occurs in the Mara where the big animals and their predators are to be present. Several species of Bee-Eater, the flying rainbow that heads the list of the Mara’s birds, occur in the reserve. As well as wildlife, the Maasai Mara is also home to many members of the colorful Maasai tribe who may be seen around the borders of the park – Morans (warriors) loping across the plains, young boys herding goats, or elders grouped under a tree discussing matters of the day. You will explore the Maasai Mara with a morning game drive and an afternoon game drive from 1600hrs. All meals at the camp with leisure time between the game drives. 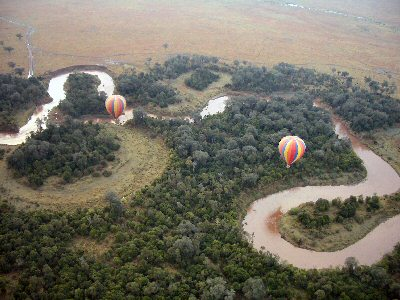 You can also opt to take a balloon safari early in the morning which will be followed by a champagne breakfast in the bush (at an extra cost). There is also an option of visiting a Maasai Boma (homestead) to reveal their outstanding culture and customs (at an extra cost). Balloon Safari: You will be picked from your camp and transferred by a 4×4 jeep at 0530hrs to the launching site. Here you will meet your pilot, receive a briefing and watch the inflation of your balloon. At dawn you will take off, rising as the sun rises and floats in whichever direction the winds of the morning take you. Your pilot can precisely control the altitude of your balloon: sometimes flying at treetop height, sometimes lower, offering a unique perspective and great photographic opportunities of the wildlife below. At other times he will ascend to 1000ft or more to see the enormity and wonderful panorama of the Maasai Mara. From time to time the pilot must put more heat into the balloon with the powerful whisper burners. In between these burns, there is silence apart from the natural sounds below. Have a morning game drive then return to your overnight hotel for breakfast. Depart for Nairobi to catch your flight back home. 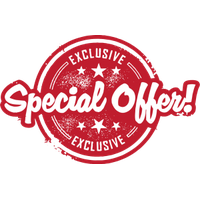 SRS – Single Room Supplement.